This is the last day of the Thankful Doodles. Enjoy! Check out Parts One and Two here. P.S. Sorry, the photos are such poor quality. I left my phone with the good camera at church and took these blurry guys with my webcam. 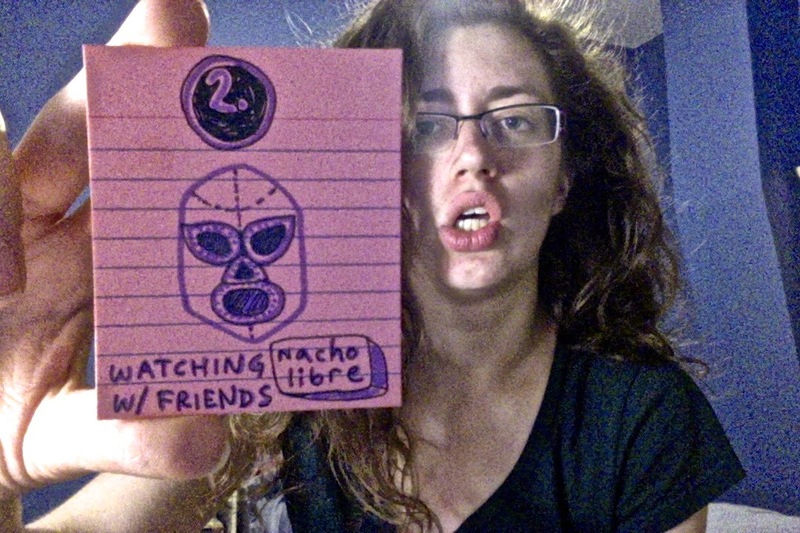 Watching Nacho Libre with Friends. I saw it with my good friends. I had never seen it before. I laughed very hard. Perhaps I would not have laughed so much had I not been with such fun people. My favourite scene was about eating toast. Here's the link. Something about chastely crunching toast on a first date while wearing nightgowns cracks me up. Probably because I feel like it is the sort of thing Sheldon would dream up; "Lucy Rose, would you like to come to our apartment to make origami birds?" 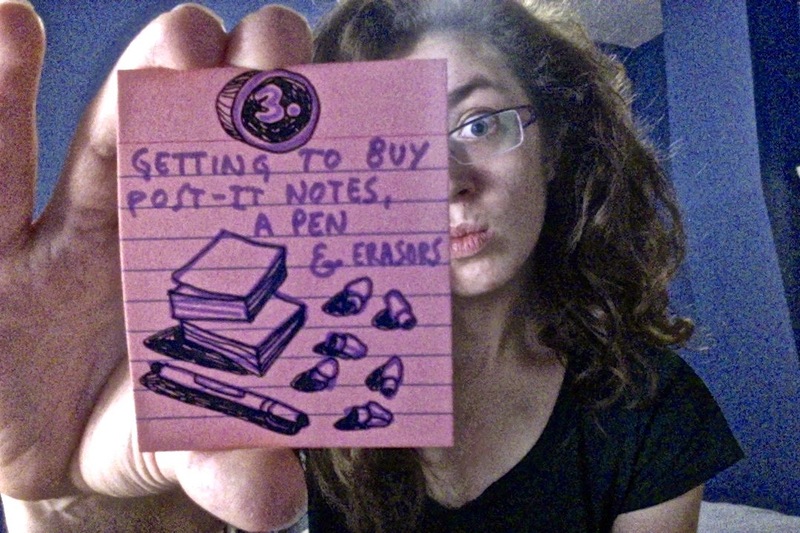 Getting to Buy Post-It Notes, a Pen and Erasers. There's a scene in one of my favourite novels The Fountain Overflows by Rebecca West in which the mother and daughter buy a paper bag of raisins despite the fact that they are broke. They revel in the ability to purchase something that simple and dub it a luxury. I felt similarly about buying 20 erasers to cover the terrible erasers on all the pencils at our church. 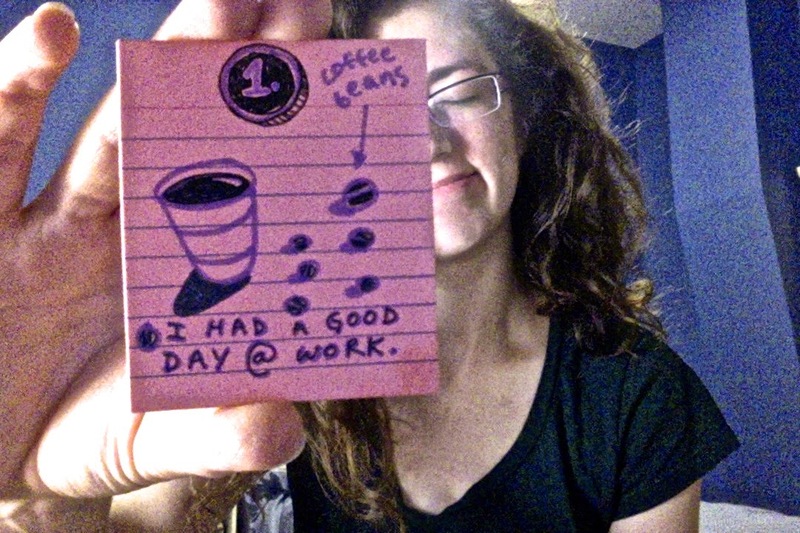 I also bought a felt-tip pen and Post-It notes for us to make flip-book animation. It felt like a "luxury" to buy those simple items. I Had a Good Day At Work. 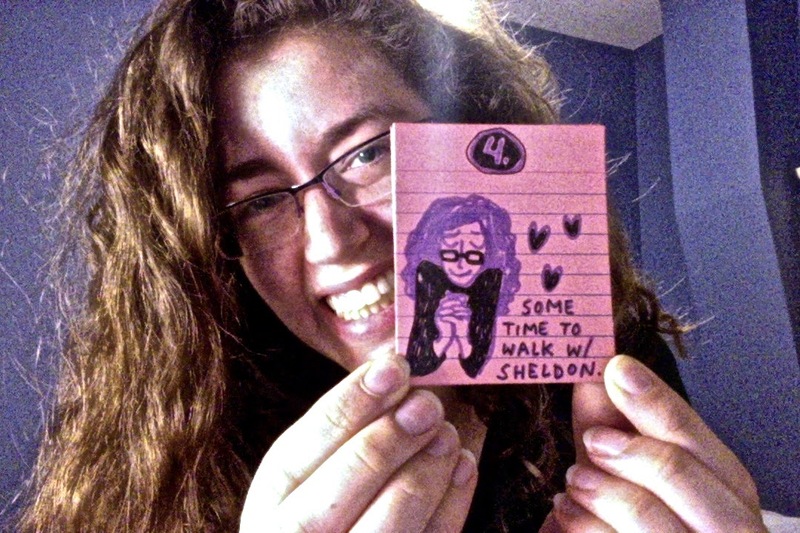 Some Time to Walk with Sheldon. "Yeah yeah. Stop being so gushy, Lucy Rose. BORING!" "Well, So-reeeee! I really thought you would be more happy for me than this." 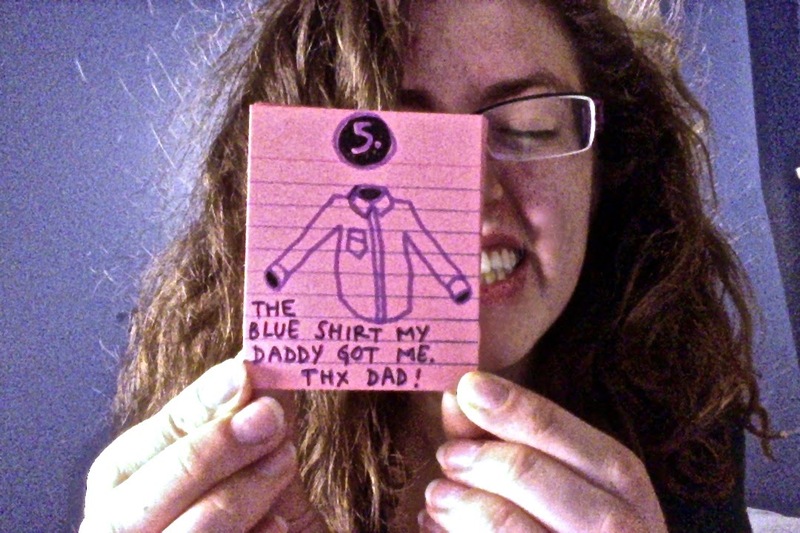 The Blue Shirt My Daddy Got Me. Thanks Dad! 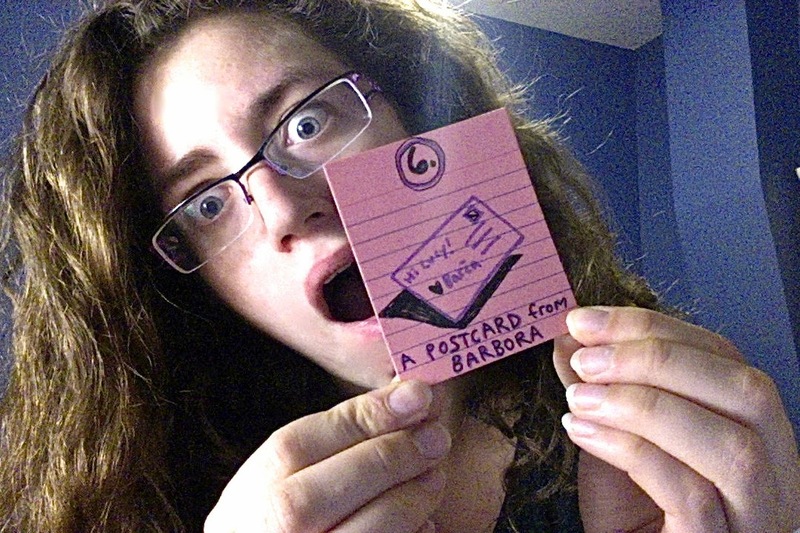 Dear Barbora. I love you. I miss you. I see cool tattoos and think of you. But I don't think I could get another one without you. Thank you so much for all of these blessings, My Lord.